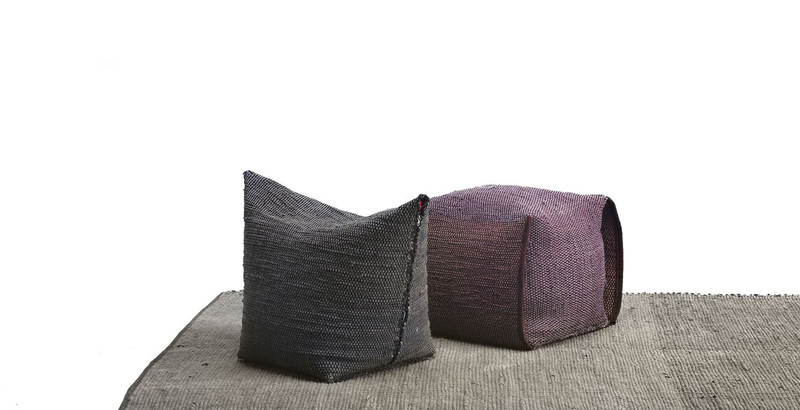 Very special restyling of two products, the ottomans Mao and Bao already in the collection. In the Limited Edition they are dressed with an recicled hand loomed and drum dyed natural fabric researched from famous Italian manufacturers. The result is an emotional and imperfect product, with similar shapes, but variable colours depending on availability. The Garten carpet, also custom made behind request, is made out of the same precious hand loomed fabrics.